Are you increasingly uncomfortable with the ingredients found in commercial products? You know, the ones you put on your skin…use for your health…and all over your home? Do you feel like you’re surrounded by a noxious chemical cloud and worry for your safety…and your family’s? Wouldn’t it be nice if there was a resource of easy, proven recipes for homemade remedies and herbal products to replace those chemical laden concoctions? Yes, it sure would be nice! I’ve got some great news for you…I have found exactly such a resource! 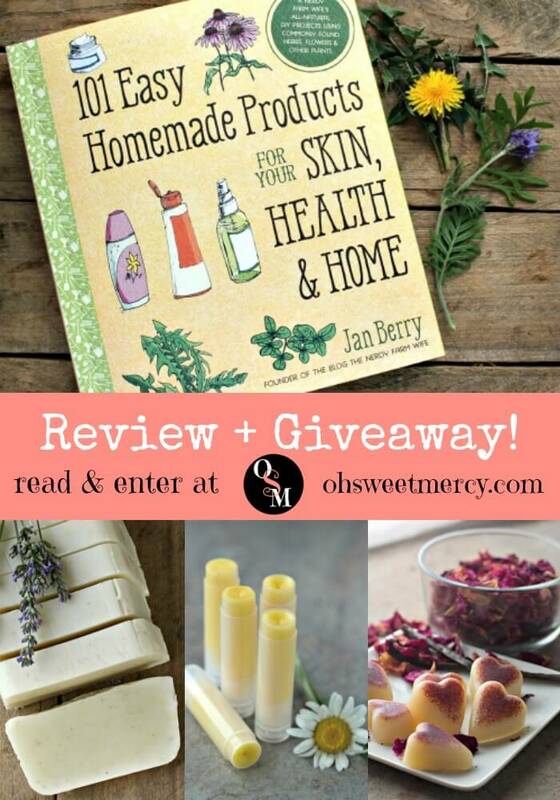 It’s a brand new book by Jan Berry. 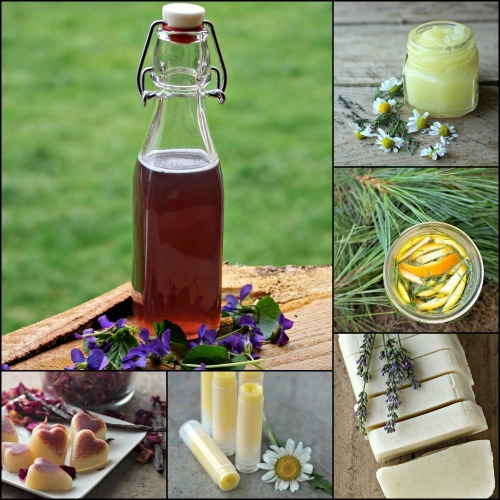 You may know her as The Nerdy Farm Wife, and she has just had published a beautiful collection of easy recipes for skin and hair care, homemade remedies, and household cleaners using natural ingredients. 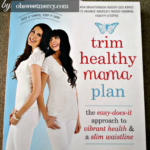 I got a chance to review a copy of this book and I’m excited to share with you what I love and why I think you need to add this book to your home library. Going green is easier said than done sometimes, right? 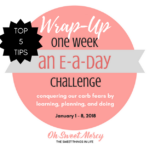 Sometimes it means making huge changes and a considerable amount of time to adjust. 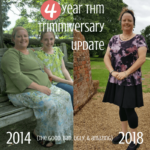 You want to use homemade remedies and herbal products…but may feel overwhelmed by the time involved, seemingly complicated processes and expensive ingredients or equipment. Jan’s book is not filled with any of that, thankfully. What it is filled with is straight-forward information and step by step instructions on how to make soaps, lotions, creams, cleaners and more for everyone in the family. She starts off with a list of common herbs and flowers and their useful properties. 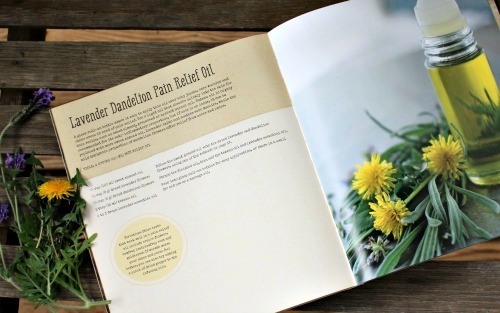 Included with each herb or flower are recipes found in the book, with the page number, for easy reference. Jan also shares how to preserve herbs and flowers through drying, freezing, and making oil infusions. There’s a very informative section on oils and cosmetic butters as well as other ingredients such as natural colorants and preservatives. You also won’t find a list of expensive or specialty type equipment, just basic items you probably already have in your home. 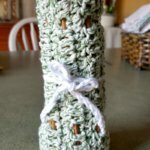 What if you are a total DIY noob? Even if you have no experience at all in making homemade remedies and herbal products, the photos, tips and instructions in this book will guide you through the process. I especially love the photos in the soap making section, showing the various stages of making soap in your crock pot. Like “trace” – for most of us, it’s easier to understand by a photo than by a verbal description of just what that stage should look like. As with any recipe or procedure, making sure to read through the instructions is the first step towards success. 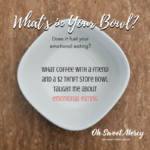 Thankfully, Jan has noted where and when substitutions can (or can not) be made and offers suggestions if a particular ingredient isn’t readily available or budget friendly. 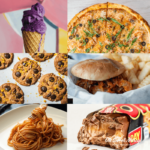 The majority of the ingredients are common and should be easy to find, but there are a few here and there that might be too pricey or difficult to come by depending on where you live. Even so, most of the recipes have suitable substitutions available. You’ll find recipes for herbal products and homemade remedies for every area of your life, even for the family pet! I first received a digital copy of 101 Easy Homemade Products for your Skin, Health & Home. Right away, I fell in love with the design. The photos are gorgeous, the fonts appealing, and the illustrations on the cover have a whimsical feel to them that speaks to my Inner Crunchy. 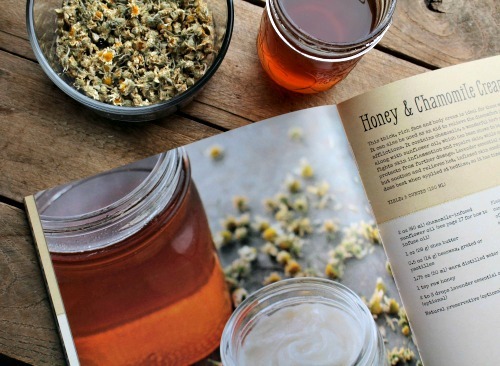 The color palate is perfect for a book about simple, natural herbal products. The layout and organization inside is clean and simple. When I received the printed copy, oh sweet mercy! I fell even harder…it is a joy to my senses. I love the feel of the cover, and the quality of this book is wonderful. The pages are stitched, not just glued, and the binding is such that it lays flat easily without any hands or heavy objects to keep the pages in place. A definite must for a recipe book! 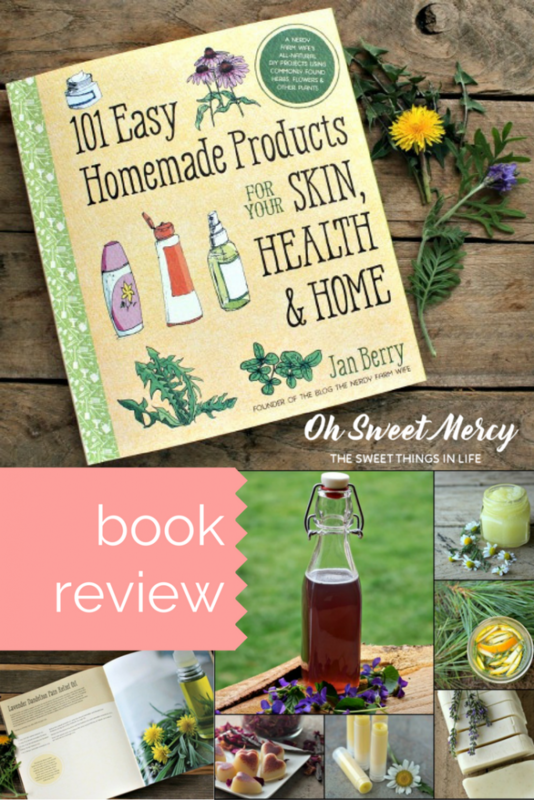 Overall, I have to say that this is probably my favorite homemade remedies and herbal products book in my collection and it would be a perfect addition to any natural-minded person’s reference library! Pin this to your Books to Add to My Library Board today! How can you get a copy of this gorgeous, essential resource for easy and natural homemade remedies and herbal skin and home care recipes? You can order through my affiliate partner by clicking here, and it’s Prime eligible for you Amazon Prime Members, so that means free 2-Day Shipping! There is also a Kindle version available, but I highly recommend the print version myself. But then again…I’m a total book nerd. I love my Kindle, but I use it more for streaming video than reading! I just love a real, live book. 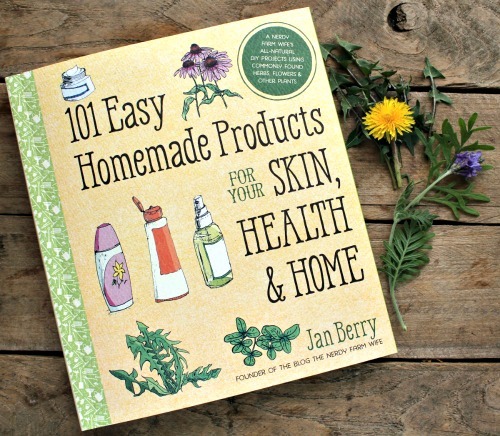 The information in 101 Easy Homemade Products for Your Skin, Health & Home: A Nerdy Farm Wife’s All-Natural DIY Projects Using Commonly Found Herbs, Flowers & Other Plants is provided for informational purposes only. It is not intended to be substituted for the advice provided by your doctor or other health care professional. 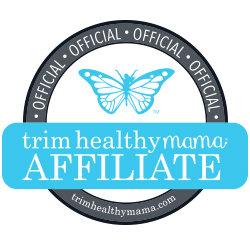 If you rely upon any programs or techniques, or use any of the products and services made available by or through the use of the book or our website for decision making, without obtaining the advice of a physician or other health care professional, you do so at your own risk. I was provided a copy of this book in exchange for my honest review. I’m so happy to hear that you like my new book! Thanks Jan, for the opportunity to review it! I planned on planting a few herbs and such this year but hadn’t really put too much thought to it yet (gardening is not really my strongest skill). Now I have some definite ideas based on the recipes in your book and can’t wait to be able to harvest some herbs and flowers and make some of these wonderful recipes. I do have mint that pops up every year, the first thing I’m making is those Peppermint & Parsley Fresh-Breath Dog Treats. We have an old pooch with some offensive breath! Congrats on the book and I hope you have booming sales in a few days! Such a beautiful book! Whoever wins it will have a treasure trove of wonderful recipes. Jan is amazing. Her recipes are so easy to understand. I agree with Michelle. Whoever wins this book is very lucky. This book looks amazing! Is the giveaway open worldwide? Her book looks awesome! Love the photography in the book too. Thank you so much for sharing this at Savoring Saturdays last week.